Next time you tune into any one of the top-rated network television or cable shows—from NCIS: Los Angeles and Weeds, to Wipe Out and Celebrity Apprentice, and a whole lot of other drama, comedy, reality and game/variety productions in between— there’s a good chance they were mixed in one of the myriad rooms at Larson Studios, under the creative direction of owner Rick Larson. 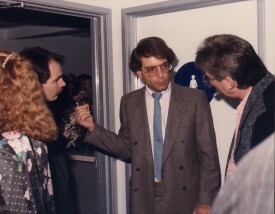 From his early days in the ‘70s at Glen Glenn Sound, one of the early pioneers of television sound, to building his own audio empire first as the Larson Sound Center in Burbank, California, and later at Larson Sound in Hollywood, Rick Larson has offered top-notch creative audio services for the television industry for the better part of three decades. Operating out of two 10,000 square-foot landmark buildings located at the epicenter of the entertainment scene in Hollywood, Larson Sound’s primary focus is in digital mixing for television, tackling the occasional film and multimedia project. Larson’s Sunset Boulevard facility, which encompasses five of its post studios, was the former Hollywood Chamber of Commerce originally built in 1927. The ‘newer’ Wilcox Avenue studio, previously home to Marcussen Mastering, was the Hollywood Citizen News building built in 1930. 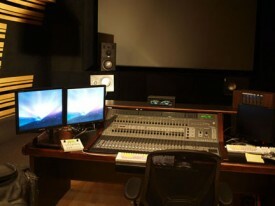 Throughout its two facilities, Larson Studios employs over a dozen Blue Sky systems—working in a variety of Pro Tools HD setups—to handle all of its ADR, voiceovers, Foley, editorial and mixing functions. 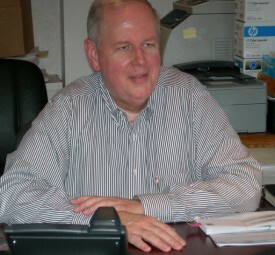 Owner Rick Larson, a 30-year veteran of the business, has been a longtime advocate of Blue Sky. The Wilcox space recently underwent a bit of a transformation with the move of three studios and the addition of one new room. The renovation team included builder Tim Fejtek of Intek Development, acoustician Bruce Black of MediaRooms Technology, and audio design consultant Charles Pell of Cobalt Blue Technology, working in tandem with Larson’s Chief Engineer, Dave Dondorf. They stripped the rooms down to the studs, replacing wall panels and acoustic wall coverings, along with adding ceiling absorptive clouds, and screen/speaker walls. 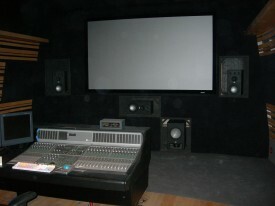 The new 7.1 mixing rooms sport Blue Sky systems featuring SAT-8 and SUB-212 with 4 each SAT-6.5 for surrounds. The new ADR/Foley Stage uses SAT-6.5’s in the Control Room and on the stage for playback. We caught up with Rick Larson to chat about the business of television, how he got his start, and why he’s continued to purchase Blue Sky monitoring systems for all of his studios. You’ve been rolling around in this business for quite some time… Give us a snapshot of your background. You’re right, I’ve been in this business for better than 30 years. I started at Glen Glenn Sound, which was one of the old-line, top television and motion picture sound companies that did all the great shows like I Love Lucy, the original Star Trek, Mission Impossible, the early days of Cheers, and the like. I worked there right out of school for about 14 years. I started as a Transfer Department Assistant and worked my way up to Senior Vice President Operations and Engineering. When the Todd-AO group bought them out in 1986, I moved on. A lot of my clients on the television side were interested in my starting a company of my own and so I put the financing together and started a company out of Burbank, called the Larson Sound Center. We were out there about 11-12 years and got involved in a roll-up that involved five post audio houses around town. It didn’t work out for me, so I left, and began looking around again for something to do. I had offers in that time but it seemed like the most intelligent thing to do was to do it again myself, so I did. Interlock on Sunset Boulevard was having some trouble, so I got together with their main financier and took that over. That turned into Larson Studios and we’ve been here since 2002. How have things changed in general over the years, aside from the technology, which is a whole other ball of wax? It’s way more cost-conscious now than it ever was before. You’re always looking to keep on budget for your client. Another thing, there’s a lot more volume now than there ever was before. We were feeding basically three major networks back then. Now, depending on what you want to call a network, we’re feeding dozens of them. There’s a lot more production going on at a lot lower price point, so you have to gain that efficiency with the technology and that’s been a lot of the reason why, when we started up here, we didn’t want to go the analog route. We felt we needed to be in the digital world, if for nothing else, for the speed and efficiency it gives you. Ultimately, the client still wants the same thing: they their product to sound pristine and beautiful and like something that was created spending weeks on a mixing stage… but they want it in two days. I remember when we did some of the early Westerns like Bonanza and High Chaparral. We mixed those in one day including the M&E. Now, very few one-hour dramatics are mixed in one day; most are mixed in two. But yet, the price point is hasn’t changed significantly in the 25 odd years since we’ve were doing those kinds of shows. So you’ve got to be more efficient in the way you approach each project. We used to have huge editorial departments, and now a lot of that is done by editors at home on their Pro Tools systems and then shipped to us either by sneakernet or through our FTP site. And again, you’re working at a fixed price point as opposed to supporting a large staff. Was Larson one of the first post houses to embrace digital technology? We were not necessarily the first; we were doing work with some of the digital formats as early as when I was at Glen Glenn, but we were one of the first companies to actually do mixing “in the box” for network television. We were one of first to embrace that technology, which of course, everybody does now, from features right on down the line. Consistency of gear seems to be another way Larson has been able to maintain efficiency as well. That’s been an important factor for us, to have the same gear and the same monitoring systems throughout. 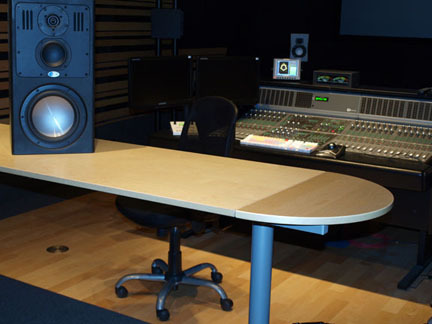 All of our rooms are based around Pro Tools and Blue Sky systems. The idea is that we have a lot of different spaces, from small to very large, that are available to us depending on the product we’re working on. The only differential is in size. This gives us an incredible amount of flexibility; being able to move between the studios easily. We can take a client from room to room and they’ll have a good, consistent product that will translate from the screening room to the air. What Blue Sky systems are you using and for what applications? On the three bigger stages, we’re using the Blue Sky SAT 6.5’s for the nearfield work. In addition, we’ve got two studios with SAT 6.5 systems in a 5.1 setup. In two of the new rooms, we’ve got three SAT 8’s across the front wall with SAT 6.5’s for the surround and a SUB 212 in a 7.1 setup. In those new rooms we also use a SAT 6.5 system and a Media Desk in 2.1 for nearfields. We have another Media Desk in the facility for laybacks. How’d you first get introduced to Blue Sky? Through the ubiquitous [audio design consultant] Charles Pell. He and I have a very long history, working first together at Glen Glenn. He was in the video engineering side and worked as a part of my group. 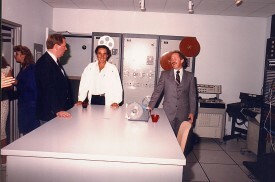 When I started the new company, Larson Sound Center, he came over as my chief engineer. When I left, he retired and became a consultant. So when I opened the Sunset facility, I brought him in and he was instrumental in working with our contractor Scott Putnam in getting these studios which were originally built as music studios up to speed for post-production. From the very get-go, in all of our smaller rooms, we’ve used Blue Sky monitors. And now, there’s literally a Blue Sky in every single one of our rooms! Some of them are primaries, and some are the nearfield systems, but Blue Sky is well represented here. What are some of the features you most like in the Blue Sky monitors? I buy them for performance, cost, sound, and size. Those are the points that really started us out. We really like the bass management, where we need it. In those days, I didn’t know who Blue Sky was, so our buying them wasn’t based on recommendations or on your reputation! They simply performed really well for us, the price point was very good, and everybody here loved the way they sounded. We’ve got a lot of mixers in here and every one of them has got a different set of ears, and one of the things that the Blue Sky’s have done a really nice job of is keeping them happy, with no ear fatigue. Comedy-wise, we’re about to start back up on Weeds and also It’s Always Sunny in Philadelphia in the summer. On the sitcom side, we’re working on Zeke and Luther, Fresh Beat Band, Big Time Rush, Hannah Montana, and new ones called Kickin’ It and Ant Farm. 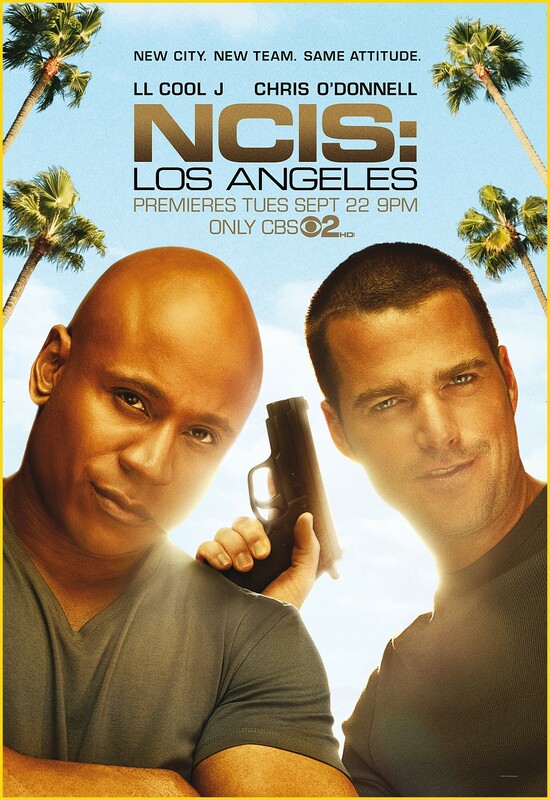 On the drama side, we’re doing NCIS: Los Angeles, Burn Notice, White Collar, and a new one coming up called Hell on Wheels, and we just finished The Good Guys. On the reality side, we’ve got Celebrity Apprentice, Extreme Makeover: Home Edition, and Jerseylicious. And as far as entertainment/variety/game shows, there’s Million Dollar Money Drop, Are you Smarter Than a Fifth Grader? syndication, and Deal or No Deal… That should give you a taste of what kinds of shows we’ve got going through here right now or that are just finishing. Why have you chosen to specialize in television, rather than broaden your production horizons? Working in television, I can be guaranteed a minimum of probably 13 episodes… and will have a continuous cash flow. It sets a very nice base for your business. What percentage of what you do these days is in 5.1? Right now, we’re doing most of our shows in 5.1, and even on the ones that don’t require a 5.1 delivery, we’re generally mixing them in 5.1 and delivering a 2-channel foldown mix. The reason is because on most of these shows, whether or not they’re required for a 5.1 release right now, they’re don’t know what they’re going to need down the road. We do some occasional work in 7.1, which most times is for Disney, but it’s primarily 5.1 at this point. We always listen down to make sure it translates to the 2-channel because we’re required to deliver a 5.1 and an LtRt version. Who would still be requiring a 2-channel mix? Some of the cable outlets still broadcast in 2-channel. What about mixing for Internet applications? Many of the networks are now offering full episodes available online. Do you handle the audio mix in a different manner for that application? In television, our mixes must sound acceptable to the client in whatever application they are released. We will mix the show full range, but we will playback on small speakers to make sure that the dialogue punches through and that the music and effects maintain their perspective. The mix will be subtly modified, as necessary, to accommodate both releases. It must be frustrating for you, as it is for engineers in the music industry, to have your pristine mixes listened to on a standard definition television or on a computer. That’s just a fact of life. So you’ve got to mix in such a fashion that you accommodate all release formats so you can actually hear the dialog, the major sound effects and important music. In every one of our stages, we have at least two, if not three, levels of loudspeakers. You’ll have the big wall, you’ll have the nearfields—a lot of which are the SAT 6.5s—and then we also will play it through the television or the modern equivalent of the Auratones. In this competitive business, what sets Larson Studios apart from the pack? It’s really all about the people. If you’ve got the good people, you can make it work and we’re blessed to have a great staff. We’ve only had a couple of people leave in the 8-9 years we’ve been here. It’s also about creating a space that the client feels comfortable working in and I think we’ve done a good job of that. As far as technology, I don’t like to be on the bleeding edge; I’d rather leave that up someone else who has much deeper pockets than I. I like to stay behind that curve a bit, but at the same time, make the customer feel that they are getting the best possible treatment for their product. And I think we stay very price competitive. Let’s face it, when you’ve got a multiple episode series of any kind, what the client is looking for, first and foremost is: can they make my delivery schedule, can they keep my executives happy, can they deliver at the price point that I expect to pay, and bottom line, is it a pleasant and convenient place to work? I think on all four of those points, we do a pretty good job. Any awards worth boasting about? In 2008, we were nominated for an Emmy for “Weeds” and “Burn Notice”, and we won “Outstanding Sound Mixing For A Comedy” in 2009 for Weeds. The independent feature we worked on called “Calvin Marshall” was nominated for a 2010 CAS [Cinema Audio Society] award, as well. Having access to episodes before the public does, do you find yourself plagued by friends begging for a sneak plot peek at the next “Weeds” or the like? Absolutely. And interestingly enough, we have to treat this as a high security issue. On some of the shows we do, we actually have to sign confidentiality agreements, and we are required to keep all material under lock and key and have certain restrictions on how it can be moved around. We experience that all the time.